The unit installed in Hampstead Norreys is an Automated External Defibrillator (AED). It is located on the wall of Well House, next to the village well, phone box and pub. It is kept in a weather-tight and secure cabinet. Click here for instructions on how to access the AED in the event of an emergency. In the event of an emergency requiring defibrillation, someone should always stay with the patient and perform CPR. A second person should dial 999 and make their way to the AED location. A code will be provided by the emergency operator to access the security cabinet containing the unit. partnership@hampsteadnorreys.org.uk with your name and address and one will be delivered to you. For every minute that a heart is stopped, the chances of restarting it are reduced by 10% so a rapid response is critical. The provision of a fail-safe AED in a rural village like Hampstead Norreys may increase the chances of recovery in the event of a cardiac arrest. Given our isolation as a village, this community scheme provides an improved emergency response. 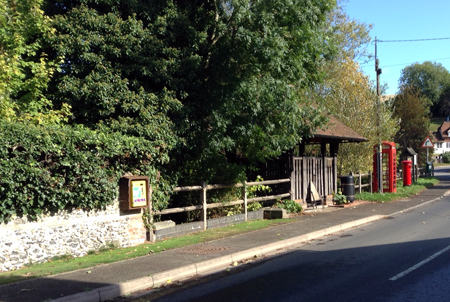 Hampstead Norreys Parish Plan managed the project to purchase, locate and install the AED. It also arranged an awareness session delivered by David Hamer from South Central Ambulance Service and the provision of instruction cards for all households in the village. The purchase and installation of the AED was made possible by a grant from West Berkshire Council and the services of G T Electric Services Ltd. We are also grateful to Colin and Kate Layton for allowing the unit to be installed on the wall of Well House. We are grateful to Colin Layton who completes weekly, monthly and annual monitoring checks to ensure the AED is always ready for use in the event of an emergency. 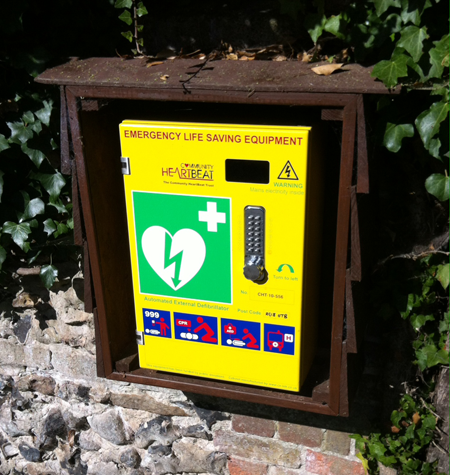 The AED is owned and managed by Hampstead Norreys Parish Council.